EDWARD P. KROCKER, 75, of Goshen, died January 1, 1992, in Union Hospital after a long illness. Krocker was born in Wainwright and was the son of the late John and Helen Krocker. He retired in 1985 from Warther Auto Electric, at Dover, as parts man. He was a member of the Tuscarawas County Baseball Hall of Fame and the Tuscarawas County Bowling Hall of Fame and an associate member of Tuscawas Veterans of Foreign Wars. He attended Tuscarawas High School. His wife, Kathryn J. Howard Krocker died January 6, 1974. He is survived by two sons, Edward Keith and Thomas Eugene, both from the Goshen area and a sister Gertrude Krocker, of Wainwright. Edward resided on David Rd. before moving along state route 416. Services were held at St. Therese Catholic Church at Wainwright with Frs. Anthony Migoni and Dan McGinnis officiating. Burial took place in the Sharon Moravian Church Cemetery. A grandson, Douglas E. Krocker and his wife Chris currently reside in the home where Edward P. once lived. 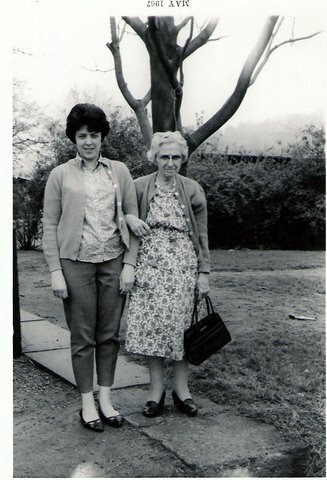 Mary Krocker and Ida Howard at the Krocker residence in 1967. 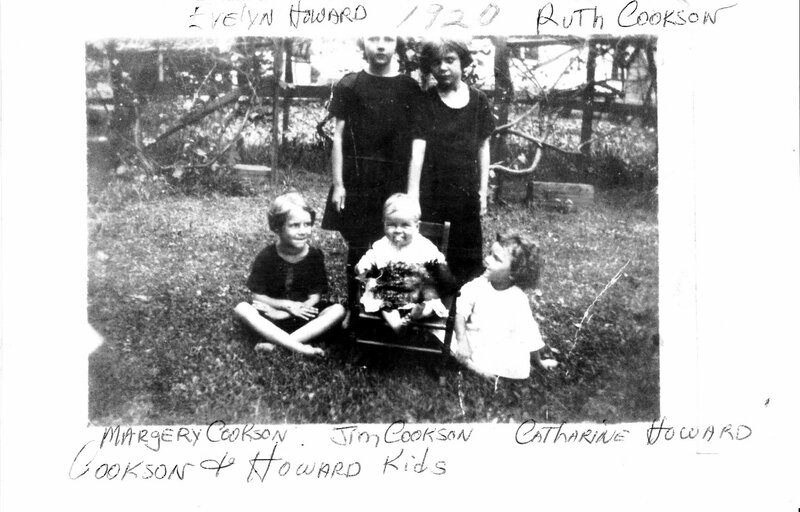 Ida Howard was the first custodian at the Goshen School. EVELYN MARIE MOORE- Age 95, passed away on October 18, 2009. Moore was born in Goshen, Ohio on August 22, 1914, to Emmett and Ida (Smith) Howard. 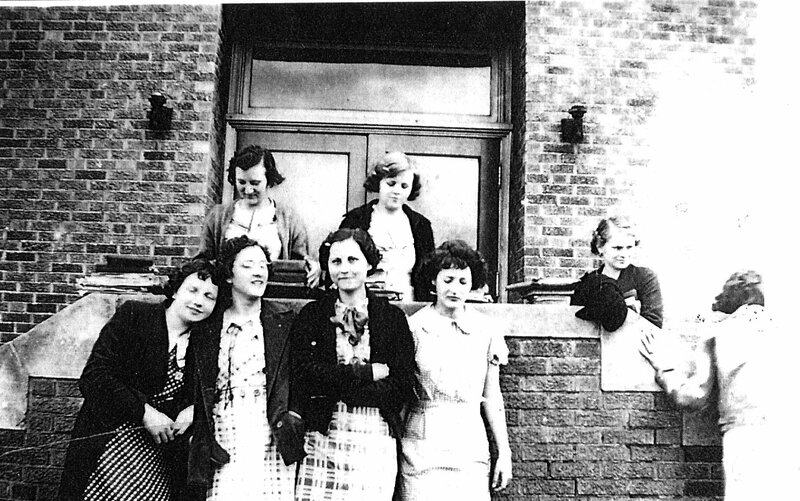 Ida was the first custodian at the Goshen School, which opened in 1923. Evelyn was raised in a home on the current David Rd. and remembers when the stone wall was built around the Zeisberger Cemetery. Water was borrowed from the family’s well to mix the concrete, she explained. Evelyn loved the Cleveland Indians and was the sister-in-law of baseball great Whitey Moore. She had attended several World Series games with her husband Lester. She was preceeded in death by Lester, two sisters, Kathryn Krocker and Mildred Rausch, both of Goshen and one brother, Donald Howard. The letter was forwarded along with his questions in a separate envelope to famed medium James Vincent Mansfield, who conducted a mail-order spiritualism business out of his New York City home. The cost for the service was $5 and four, 3-cent stamps. Some of Mansfield’s more famous customers included Mark Twain. Several days later, Mathews received a response. His questions were returned with the envelope seal unbroken and was opened in the presence of Howard’s widow and a witness. Mathews later published his “spirit communications” from John Howard in the Ohio Democrat. “I embrace this, the first opportunity to assure you I have a conscious existence beyond the mangled clay tenement that reposes in yonder cold grave,” Howard supposedly told the medium. Howard also said when he became awakened to conciousness days after his death that he was greeted by several people he knew. The first to greet him was supposedly David W. Stambaugh, of New Philadelphia, who had died on January 22, 1869. Stanbaugh had served as prosecuting attorney and was a state senator at the time of his death. Later in the communication, Howard spoke to his widow.